Representatives from UNESCO World Heritage cities will have a golden opportunity to explore fellow heritage city Gyeongju’s unique contributions to the UN register when they visit the ancient Korean capital for the 14th World Congress of the OWHC, to be held at HICO from October 31st – November 3rd. 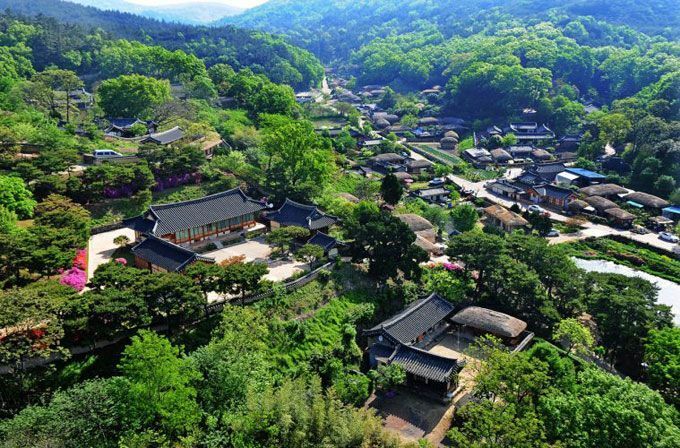 The four-day congress will include trips to Gyeongju’s UNESCO World Heritage sites and other attractions courtesy of the Korea MICE Bureau (KMB) division of the Korea Tourism Organization. Founded in 1993, the Organization of World Heritage Cities (OWHC) represents 280 cities globally that contain UNESCO World Heritage sites. The capital of Korea’s Silla Kingdom between 57BCE – 935CE, Gyeongju is notable for retaining much of its architectural heritage from that period, located throughout the city and earning it the nickname ‘the museum without walls’. In 1995, the Buddhist structures of Seokguram Grotto and Bulguksa Temple were the first Gyeongju properties to be added to the World Heritage List, followed by the Gyeongju Historic Areas in 2000 and Yangdong Village in 2010. Congress programs will focus on sustainable tourism under the theme, “Heritage and Community: Tools to engage local communities”, with speakers including OWHC administrators, deputy mayors, architects, and government officials involved in tourism and heritage committees from around the world. “By setting [this] theme, we have placed the communities at the heart of the conservation and heritage management processes, and consequently strengthened their ability to participate meaningfully in the process of decision-making for themselves and their heritage” explained Mayor of Gyeongju Yangsik Choi in his invitation letter to OWHC member cities. The specially organized KMB tour will take delegates to Gyeongju’s top UNESCO heritage sites. The October 4th post tour will stop by Bulguksa, Seokguram, and the Daereungwon Tomb Complex. The tour also includes the opportunity to see the unique underwater tomb of King Mungmu (30th ruler of Silla), sample Buddhist temple cuisine, and enjoy Korean table d’hôte. A pre-tour on the 30th will explore the tomb complex as well as the Gyeongju National Museum. Participants also have the option to experience immersive cultural activities, such as a visit to a Korean sauna and the chance to make kimchi at Yangdong Folk Village. In recent years, Gyeongju’s rich cultural profile has been complemented by its growing role as a global events host, including the 7th World Water Forum in 2015, which it shared with Daegu. The city’s Bomun Tourist Complex is a modern business events district, home to the Hwabaek International Convention (HICO) center, supported by 14 hotels and 2,518 rooms within a 3km radius. More information about the congress is available at http://2017gyeongjuowhc.org/en/.